Newcomers will be riveted, but fans of Immunity's spellbinding sonic landscape will spot too many parallels and feel this is perhaps a comfortable plateau rather than the anticipated evolutionary step. His albums are a sanctuary in a derivative dance music industry; his hybrid programming is unfathomable, the detail is molecular. It's been dry five years since we had a full Jon Hopkins release flowing through our veins, but I'm actually glad for the wait. He’s a greatly admired breakthrough artist who effortlessly revoked his fame in search of the esoteric. Touring ‘Immunity’ relentlessly, he disappeared, dissolved and then last year, news of a new album emerged. Apparently, he was unhappy with the flow, so he catabolized and reassembled the parts into Singularity, his fourth and much anticipated studio album. Ever since I sat dumfounded by his 2009 masterpiece 'Insides', the arrival of any releases / remixes have been received with great anticipation. The innovative and sophisticated sound of ‘Immunity’ was total relief amongst the flagging carnage of dubstep one-upmanship. Not only did it seem revolutionary, but it was intelligent, mesmerising and effortless in delivery. He had found a way through the Pandora’s box writing-maze, the code that so many music producers become lost inside. The result was a triumphant, organic synergy – Hopkins was literally inside The Matrix. On the surface, ‘Singularity’ appears to contain the same vital ingredients. It’s a deep sonic experience, but you can’t help but feel an uneasy law of diminishing returns is now in effect - and here’s why. The opener ‘Singularity’ is a beautiful heart ache - its unlocked baroque chord structure builds inside you as it soar skywards. Tense, optimistic, lifting. The fractured, abandoned ‘Emerald Rush’ is a signature sensation, pounding and unpredictable, but ‘Neon Drum Pattern’ starts to unveil that the chords structures are starting to become recognisable choices rather than unpredictable decisions to be followed and learned – it’s here you start to feel the formula. ‘Everything Connected’ ignites with familiar uneasiness, the same menacing, gurgling, spitting, detuning monosynth ‘Open Eye Signal’ has returned, wrapped in sandpaper percussion. Call it ‘reimagined’ if you will, but despite its menacing drive, it’s a disappointing perhaps unnecessary compositional parallel that taints the original, or devalues it at worst. Should we label it a progeny? I trusted I was in safe hands. ‘Feel First Life’ lifts our eyes towards the heavens. Reverb drenches angelic voices that float amongst the studio piano again feel too ‘Jon Stock-kins’ for comfort. It's also too short. The nervous thought that this is ambient filler rather than a meaningful moment starts to solidify. Perhaps the delicate ‘COSM’ should have been integrated into this build at its vocal crescendo, to make this less apparent, but the tracks are fenced apart and it feels incohesive. ‘Echo Dissolve’ is essentially a dawn recording instrumental of the elements of Emerald Rush. I have to say it feels like B-side material and I am losing my concentration. ‘Luminous Beings’ build is sublime indeed, but arguably and bizzarely seems to have borrowed familiar chords from Sun Harmonics, but more weirdly elements and even signature moments from U2’s ‘With or Without You’. Finally, there is 'Recovery', but sadly the album is over before it has ended. His music has always wrapped itself around an undefinable structure - its intricate build, its daring decisions, its textures and radiant sheen are such enviable qualities. All Hopkins older albums contain drastic use of tempo, swing and time signature changes at their core, or simply no signature at all, leaving you suspended in mid air. The unpredictable builds and rises, the clever switchbacks, the psychedelic drops – there are all trademarks of Hopkins genius. 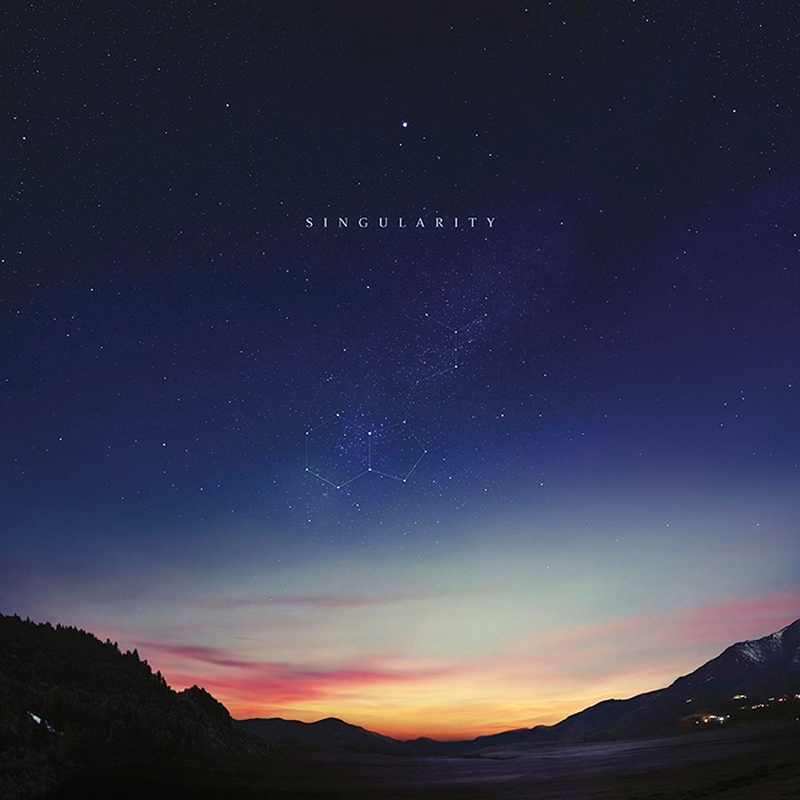 Singularity’s repetitious use of familiar stock approaches and borrowed elements from ‘Immunity’, leave you satisfied with your high-fidelity fix, yet ultimately concerned this isn’t breaking any new ground at all. The time signatures are too regular, the piano seems less important than ever and his musicianship devalued. The soulful ‘Insides’ contains so much more emotion, diversity and playfulness than this. The intoxicating ‘Immunity’, medicated and neurotic, reinvented techno at a critical point, abandoning concept with loose rhythmical deconstruction, which was a landmark achievement. ‘Singularity’ contains the finesse and intricacy he devotes to all his sequencing, editing, and mixing, but it comes up short on innovation. Does that make it enjoyable? No, far from it, but It's all too clear he has spent too much time fiddling with the hydrocarbons than synthesising new and innivative designs.